TV with Thinus: #SONA2019: South African TV coverage of the State of the Nation 2019 Address today. #SONA2019: South African TV coverage of the State of the Nation 2019 Address today. 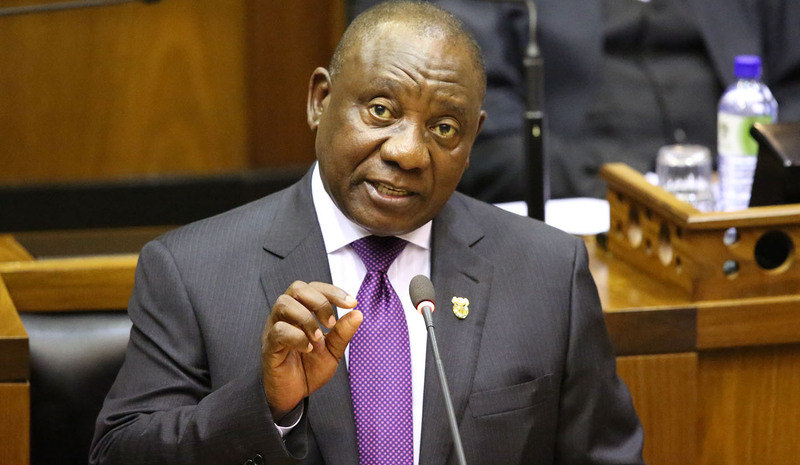 Several TV channels will be doing live coverage and analyses today of the State of the Nation Address 2019 of South African president Cyril Ramaphosa. The SABC will do preview coverage and analyses on its programmes Agenda and On Point on SABC News (DStv 404) leading up to the address. These shows will cover the Civil Guard of Honour, red carpet arrivals coverage and the 21 Gun Salute. The red carpet arrivals will be live streamed from 16:00 on the SABC News channel on YouTube until the end of the proceedings. The president's address will be broadcast live during the prime time programme Full View on SABC News and on SABC2. Following the president's address, a post-analysis of the speech will be broadcast live with experts and reaction from various political parties. The SABC will also do live crossings to various provinces to get vox populi reactions. On SABC2 coverage of the State of the Nation Address 2019 speech will start at 18:00 and continue until 20:30, preempting the channel's normal schedule. It will be followed by the current affairs programme Ngula Ya Vutivi at 20:30 and the day's episode of Muvhango at 21:00.
eNCA will do rolling live coverage of president Cyril Ramaphosa's second State of the Nation Address today, with extensive coverage kicking off from 16:00.
eNCA anchors Vuyo Mvoko and Michelle Craig will anchor this evening's coverage from a pop-up studio in Cape Town's parliamentary precinct. Iman Rappetti from the Madam Speaker talk show will host a live studio audience at eNCA's Hyde Park studios in Johannesburg. She will do crossovers with Vuyo Mvoko and Michelle Craig throughout the evening, sharing the studio audience's reactions and comments. A special hour-long live edition of Madam Speaker will be broadcast on eNCA at 21:00. This year eNCA has partnered with the independent fact-checking organisation Africa Check to provide viewers with in-depth analysis with Africa Check researchers who will fact-check Cyril Ramaphosa's address throughout the evening from the eNCA Johannesburg studios and share their analysis from 22:00. Open News will also do coverage of the State of the Nation Address 2019 with anchors Naledi Moleo and Ayanda Dlamini who will broadcast live from Cape Town's parliamentary precinct, bringing viewers all the highlights from the red carpet and the National Assembly. Koketso Sachane will cover all the news making headlines from the address as well as the day's other news from the Open News studios. Live coverage of the State of the Nation Address 2019 speech from 18:00. CNBC Africa didn't provide a programming advisory regarding its coverage plans to the press but has slotted a State of the Nation Address programming block from 19:00 to 20:30 on its schedule for today.